Carte NoireThere are 8 products. 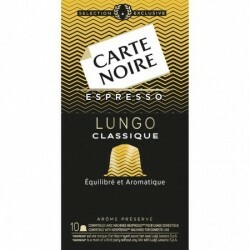 Black Lungo CLASSIC card compatible Nespresso® capsules. This compatible pod will bring you the elegance of an exceptional coffee pure Arabica delicate and sweet, accompanied by a note of acidity. 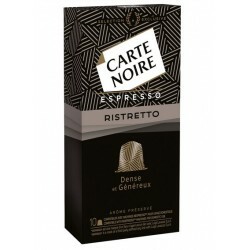 Carte Noire Ristretto capsules. Ristretto Black Card is a sophisticated espresso tofféfié intensely, with a fine citrus note. Compatible Capsules Carte Noire intensity # 7. 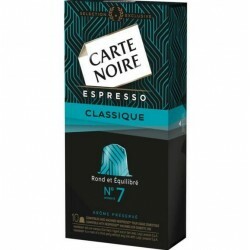 Carte Noire coffee pod compatible 7 is a pure aromatic Arabica coffee with a hint of cocoa. 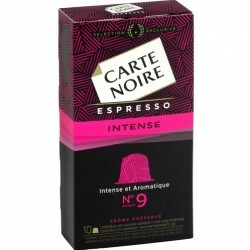 Compatible Capsules Carte Noire intensity 9. Coffee with a powerful roasting, grilled notes gives the intensity of a pure Arabica coffee. 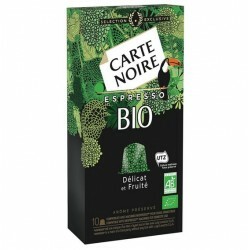 BIO Lungo Black Card Nespresso ® compatible capsules with an intensity of 5. 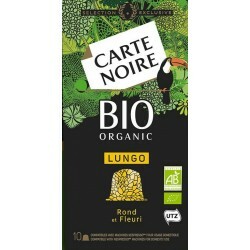 This selection of Carte Noire coffee from organic farming of america will bring you a generous coffee with subtle floral notes. 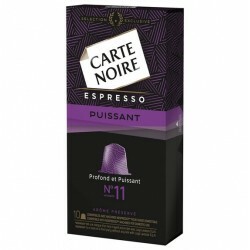 Take advantage of this Carte Noire discovery pack to test the Carte Noire compatible capsules and make your own opinion. This pack consists of 5 references.